What Does Bidder's Choice Mean? 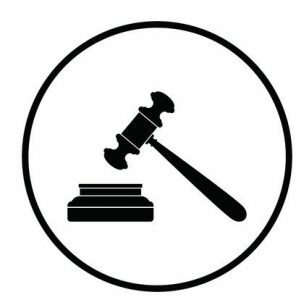 | Wilson Auction & Realty Co, Ltd.
For those of you who are unfamiliar with auctioneering, there’s a term you should know about before you attend an auction or get involved in an online one. The term is “bidder’s choice,” and you’ll hear it often in auction circles. While it may or may not be clearly defined in everyday use, because auctioneers assume everyone knows what it means, there are still plenty of people who don’t have a clue, and that’s why this blog entry can help define it. Bidder’s choice is when an auctioneer groups similar items together. Now you might think, “Ok, that means a whole bunch of tools in a pile will go to one bidder for one price.” But, wait, that’s not how it works! With bidder’s choice, let’s say you’ve got several tools grouped together, and some are worth more than others. The auctioneer will set his or her parameters for this particular auction. Typically, he’d start with a certain section of the pile of tools– let’s say the biggest and assumedly most expensive ones– and let the group know they’re bidding on that certain section. Bidders compete until one has the highest unchallenged bid. Then he or she has the right to choose as many tools at that price as they wish. Typically, they’ll take the one or two they really cared about/wanted, leaving the rest. Then the auctioneer starts a new round of bidding on the remaining tool sections. Several rounds may ensue until few tools are left and/or bids are very low. At that point, whatever’s left is still grouped together, but taken as one lot, auctioned as a whole. Rather than just put a whole bunch of stuff into one pile and auction it off as a whole, whereas the auctioneer might lose money (in the end), bidder’s choice seems like a fair way to 1) still give bidders a good deal and some decent competition and 2) maximize profits for the auction overall. In real-time/real-life bidder’s choice works well because the bidders and the merchandise are in the same room at the same time. Bidder’s choice usually doesn’t work well with online auctions, though, since it gets too confusing.